Tiffany Morey and Diamond Daylilly. Photo by Maya Kuntze Photography. So awesome. But that’s not even the end of the story! Tiffany checked in once more this week with an update, having completed her first derby cross at Loch Moy. “Not only did winning the New Year’s Resolution Content and the Majyk boots inspire me to complete my first event, it has also motivated me to try derby cross. Not only did we accomplish our goals, we somehow managed to finish 3rd! This was a great surprise considering it was our second event ever, third time schooling over any type of cross country obstacles, and first time moving up to Elementary. It was also a nice way to end the season. I’m pretty sure those Majyk boots really ARE magical! Our pleasure. Riders like you, Tiffany, are what makes our world go round. GO EVENTING, indeed. 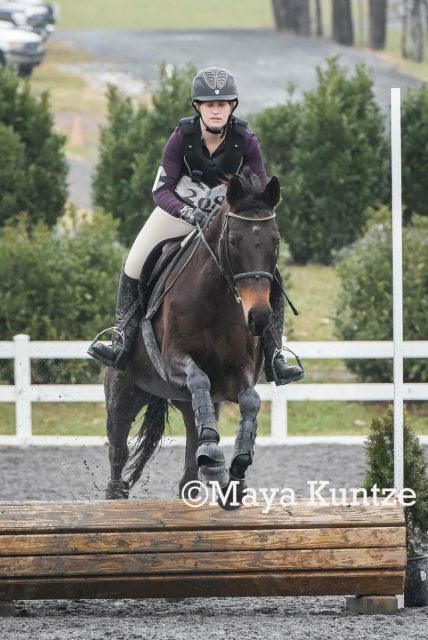 EN #ProTip: Enter to win a fully paid entry for the Area II YRAP Fundraiser Fix-A-Test at Morven Park, courtesy of Attwood Equestrian Surfaces! This educational event takes place Dec. 30 with licensed dressage judge Gretchen Butts from Waredaca and will be held in Morven Park’s newly renovated indoor arenas featuring top-class footing. See details below! The Maryland Horse Trials at Loch Moy Farm (Adamstown, MD) will be hosting a Winter Cross Derby Series in 2019. Dates are Jan. 5, Feb. 2 and March 9-10. The cross derby incorporates cross country and stadium jumps across eight acres of all-weather footing. Obstacles will include ditches, banks, water, and various portable fences. The goal is to provide an opportunity for riders to keep horses fit and competing over the winter on safe footing, in a low-pressure environment. The levels range from Poles/Crossrails through Modified. A brief schooling period is offered prior to every division. Ribbons are given through 8th place. Each cross derby is a registered USEA Educational Activity. Competitors may enter electronically via evententries.com or eventclinics.com. The venue is also offering cross country schooling on its all-weather footing through March 8, by appointment only. More information at www.themarylandhorsetrials.com. 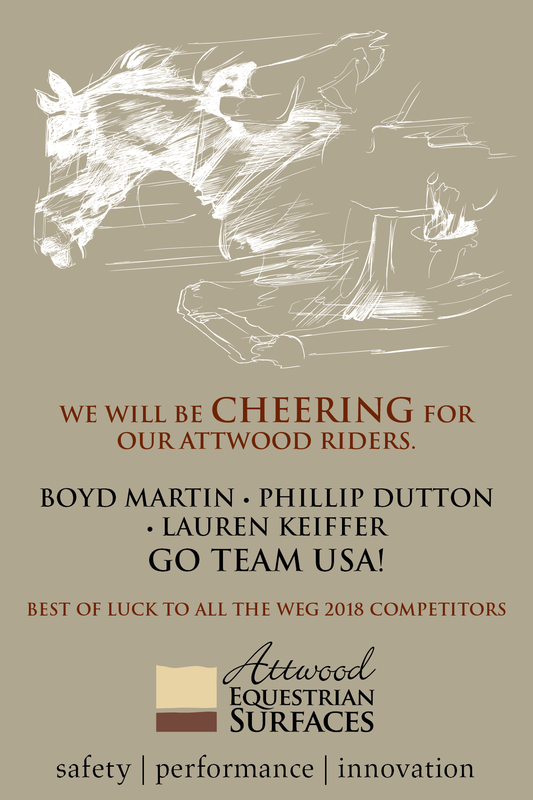 Enter to win, courtesy of Attwood Equestrian Surfaces! Want to know more about the most advanced footing solutions on the market today please call Attwood Equestrian Surfaces at 888-461-7788.